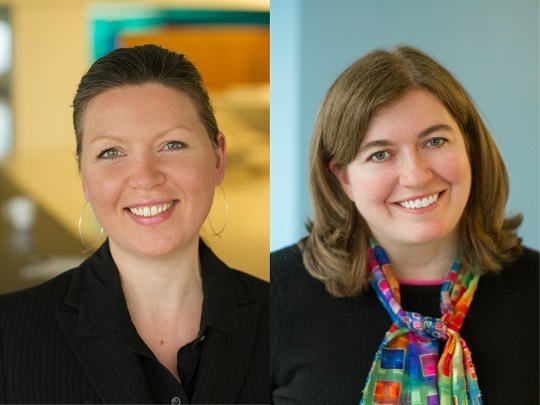 Outsell announced today that it has promoted Catherine Decker to Vice President of People and Valerie Vallancourt to Vice President, Marketing. Decker was formerly Director, Human Resources at Outsell. Human Resources Magazine recently named her as one of five 2016 HR Rising Stars. At Outsell, she has launched several new HR programs and processes that have contributed to the company’s positive team culture and improved its bottom line, including Stay Interviews to increase retention and an Unlimited PTO policy. Vallancourt was formerly Director, Marketing at Outsell. Since joining the company just over a year and a half ago, Vallancourt has transformed marketing, developing a demand generation engine and implementing new processes for lead generation and tracking, and more than doubling inbound lead flow while improving quality – helping the company exceed its sales goals.